the fifth full-length novel of the Mythos Legacy! 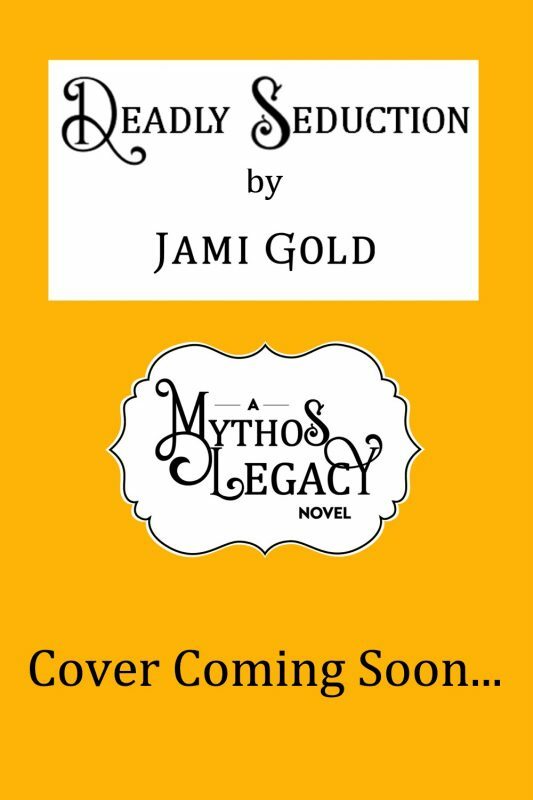 This next book in the Mythos Legacy will be releasing in 2019! 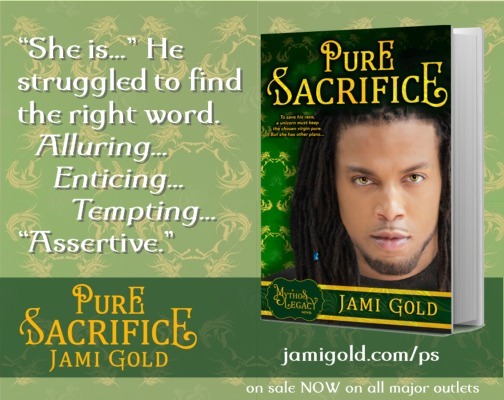 Follow Jami Gold’s board My Books: Pure Sacrifice on Pinterest. How Does Pure Sacrifice tie in to the Mythos World? Griff of Unintended Guardian explained how he knew his missing treasure couldn’t be on the Mythos plane because he would sense an imbalance. Readers see Markos’s efforts to prevent an imbalance while importing and exporting between Mythos and Earth. Markos mentions why Mythos lacks iron, which hints at the danger of that metal to faeries. Markos discovers connections between some faeries and unicorns, which continues to be important through future stories. 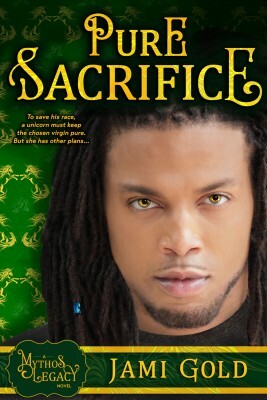 Markos and Archimedes wonder if faeries are in the midst of a civil war when making observations about their “helper.” The truth of the tumultuous situation is revealed in Ironclad Devotion. 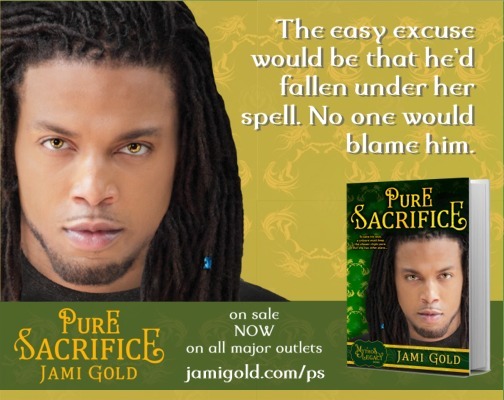 Pure Sacrifice marks the first glimpse of the Mythos plane, at least of the unicorn homeland. Have a Question about Mythos or Pure Sacrifice?